Daniel Sequeira says he wasn’t a great student in Grade 10. But two years later, the north Mississauga resident is one of the top two academic achievers in the Dufferin-Peel Catholic board for the 2015-16 school year. The St. Francis Xavier Secondary School student graduated with a 99.33% average, alongside George Eisa from St. Marcellinus Secondary School. 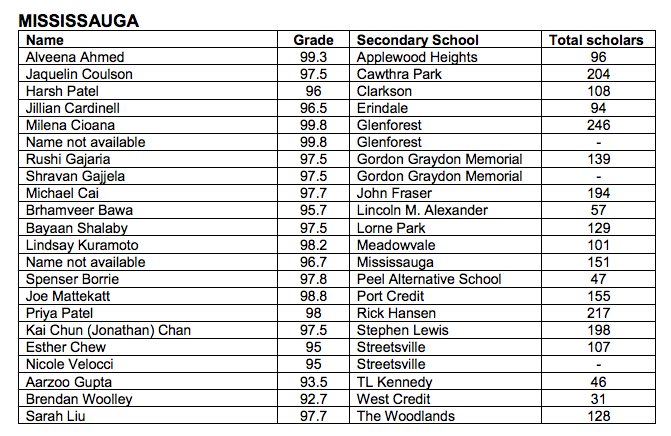 Overall, 3,278 Grade 12 Dufferin-Peel students are Ontario scholars, finishing with an average of 80 per cent or higher in their top six Grade 12 courses. Sequeira is crediting his “most amazing” Grade 10 science teacher, Catherine O’Keefe, with his turnaround. “She just really cared for us as individuals,” he said. For instance, she’d frequently help out during her lunch period, Sequiera said. Then there’s a reference letter she wrote, in addition to supervising his extended essay project. “She sacrificed her own time, no matter when it was,” he said. Sequeira will be sacrificing sleep in September as he heads to London for the medical sciences program at Western University. Being busy – studying, working to alleviate hunger, and spending Saturdays in a doctor’s office – has given him “better organizational skills,” said Sequeira. Nonetheless, he says he’s taking it easy this summer, volunteering with his older brother, Nick. 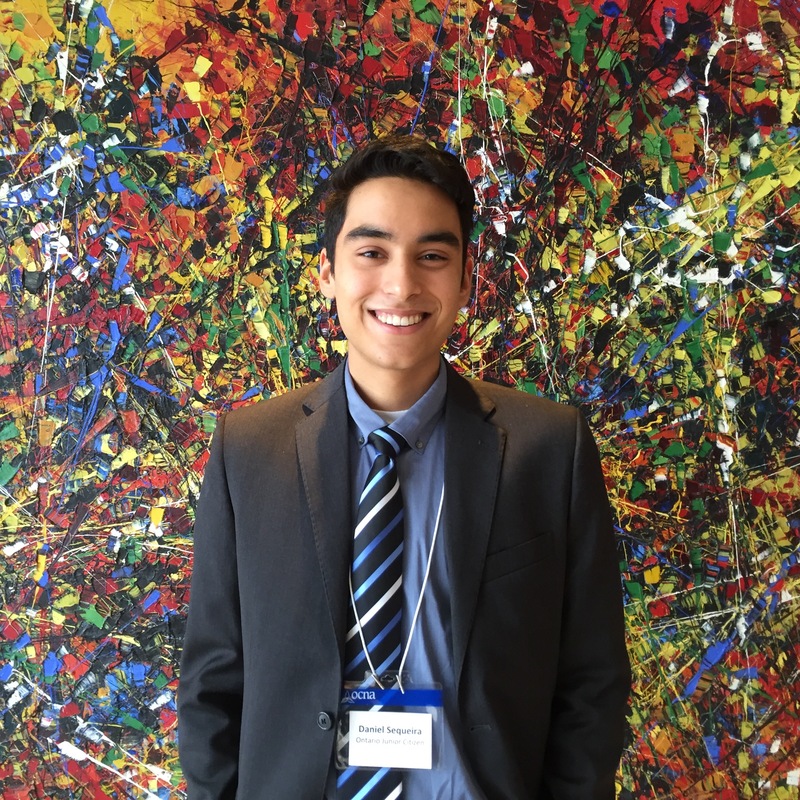 Eisa won’t be too far away — he’s attending the University of Waterloo for software engineering. He may run into Brampton’s Nicholas Bianco on campus. Bianco finished with top marks from Cardinal Leger Secondary School with an average of 98.50%. 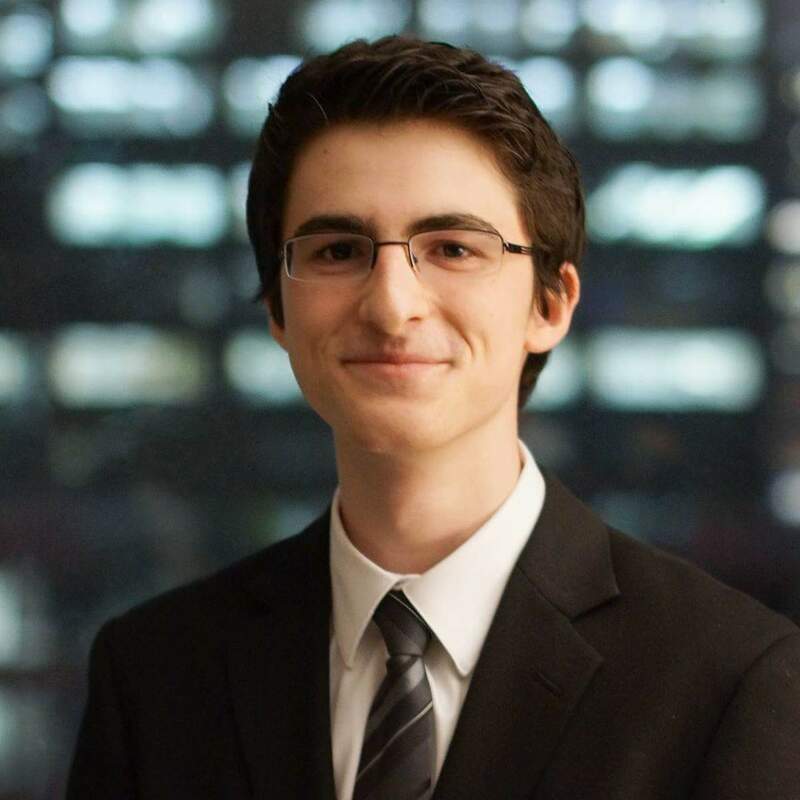 In the Caledon area, Luke Seewald from Robert F. Hall Catholic Secondary School is the board’s top Ontario Scholar with a 97.50% average. “It takes tremendous dedication and focus to achieve marks like these and they deserve to be celebrated,” said director of education Marianne Mazzorato. Over in the public board, when Roland Chou, Jessie Dong and Janet Tang say they’re giving it 100 per cent, they mean it. The trio graduated with a 100 per cent average, achieving the highest grades within the Peel District School Board. Chou attended Mayfield Secondary School in Caledon, while Jessie Dong and Janet Tang are representing Brampton’s Turner Fenton Secondary School. They’re among 4,738 of the public board’s Ontario scholars. Mississauga’s Alveena Ahmed from Applewood Heights Secondary School had one of the top academic averages in the city, finishing at 99.3 per cent. Congratulations to Alvina Ahmed from Applewood SS in my riding on graduating with the highest academic averages (99.3%) in Mississauga. Ahmed is attending McMaster University for life sciences in the fall. 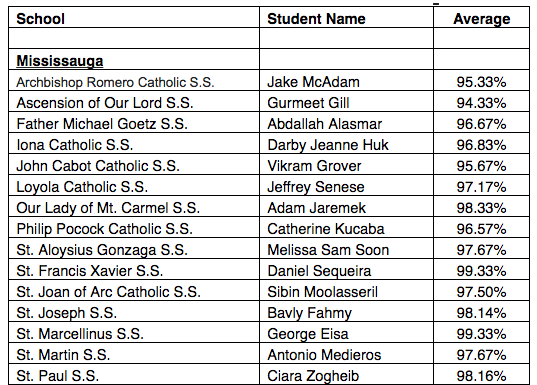 Here’s the breakdown of top scholars by public school.